Sita Mata Wildlife Sanctuary is situated in the south-east part of Pratapgadh in the State of Rajasthan. Encapsulated within an area spanning 422.95 square kilometers, the Sanctuary is a protected area reserved for the conservation of wild animals. 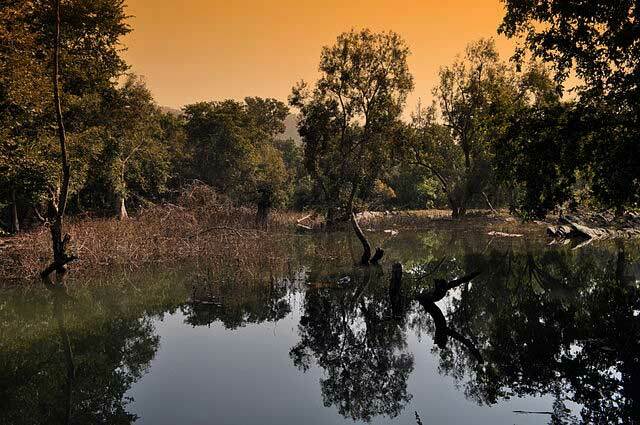 In the year 1979, Sita Mata Wildlife Sanctuary was declared a protected forest reserve by Rajasthan government and has served as an asylum for wildlife ever since. The sanctuary is located at a distance of around 45 kilometers from Pratapgadh. However, its divisional headquarters is situated at a distance of 108 km in Udaipur. The sanctuary is rich in dry deciduous flora and is nourished by several water bodies including rivers that flow through the forest area. Some of the main water bodies in the park include rivers Karmoi, Jakham, Sitamata, Tankiya and Budho. Apart from rich fauna and multitudes of thriving greens, Sita Mata Wildlife Sanctuary also houses other attractions. The Name of the sanctuary is derived from the Hindu deity Sita. The sanctuary itself is believed to be the same forest where Valmiki Ashram from Ramayan was situated. Besides the mythological correlations, rocks have been found in Sita Mata Wildlife Sanctuary that depicts images of prehistoric animals carved into them. The summers in Sita Mata Wildlife sanctuary are extremely hot with the highest temperature reaching above 43 degree Centigrade. The months of May and June are considered to be the hottest throughout the year. The winter months can get cold and the mercury can drop as low as 6 degree Centigrade between the months of December and January. Monsoons are relief from thrashing heat and slight rainfall is encountered between June and September with one or two major showers. Ideal time to visit Sita Mata Wildlife Sanctuary is between the months of October and Feburary, when the climate is cool and longer journeys can be made during the day. The nights are usually colder during the winters and carrying warm clothes is advisable. Sita Mata Wildlife Sanctuary has a flourishing ecosystem with hundreds of species of fauna. There are several mammals, birds and reptiles in the Sanctuary that coexist in the deciduous foliage. Some of the most prized attractions of Sita Mata Wildlife Sanctuary are leopards and Flying fox amongst other species. The animals and birds in Sita Mata Wildlife Sanctuary are enlisted below. 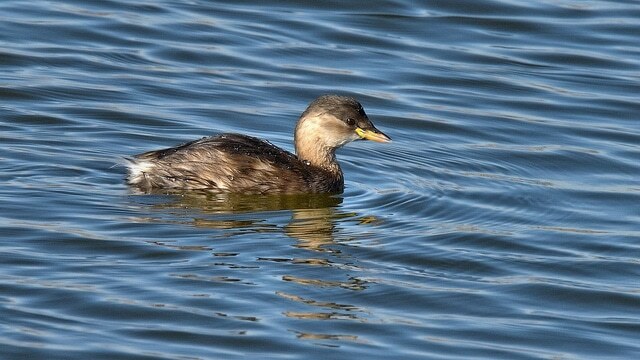 Little cormorant, Little grebe, Indian darter, Pond heron, Gray Heron, cattle egret, painted stork, little egret, white necked stork, lesser whistling thrush, spoonbill, Rubby shelduck, cotton teal, Pintail, Nukta, spotbill, Parah kite, white eyed buzzard, shikra, king vulture, Tawny eagle, white backed vulture, white scavenger vulture, Rain Quail, Eastrel, Black patridge, Indian peafowl, Jungle bush quail, Saras crane, Moorhen, White breasted waterhen, Purple moorhen, pheasant tailed jacana, common coot, Red vettled lapwing, wood sandpiper, Red shank, common sandpiper, stone curlew, Black winged stilt, River tern, Little stint, Indian courser, Green pigeon, and common sandgrouse amongst a variety of different bird species. The nearest airport to Sita Mata Wildlife Sanctuary is the Dabok Airport located in Udaipur. The airport is at a distance of 145 kilometers and has good commutability with the Sanctuary. Mandsaur has the nearest railway station to the Sanctuary and is located at a distance of 28 kilometers. It is also 110 kilometers away from Chittorgarh. There are many major roads passing through the Sanctuary and linking it to other towns. Daily bus services go to and back from Banswara, Chittorgarh, Udaipur, Rajsamand, Dungarpur, Jodhpur, Madhya Pradesh and Delhi. There are a handful of tourist lodges around the Sanctuary but it is advisable to take up rooms in the neighboring towns. Rooms in good conditions can be found within a radius of 60 kilometers from the sanctuary in Banswara and Udaipur.